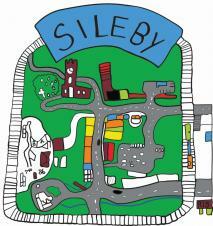 Sileby is in the process of producing a Neighbourhood Plan. A Neighbourhood Plan Advisory Committee along with a number of themed groups have been formed to prepare the plan, made up of volunteers from the village and some parish councillors, all supported by Neighbourhood Planning consultants 'YourLocale', that will be used by Charnwood Borough Council when deciding Developers Planning Proposals.. The aim of this Neighbourhood Plan is to build and learn from previous community engagement and village plans and put forward clear wishes of the community regarding future development. It has been produced with a realistic intention to deliver local aspirations within the context of the strategic planning framework, and to capture actions that are important to the community, but which need to be pursued as 'projects' through other delivery means. Futher opportunity for feedback on draft policies open until 15th September 2018. Feedback and analysis of the questionnaire sent out to the village to help the NPAC and Theme Groups get a clearer picture of the priorities of the residents of Sileby for the future. Thanks to all those who gave their feedback. Check out the analysis here. This is an opportunity to give members of the community to support the Neighbourhood Plan with collecting data and insight, with the end goal to writing the Chapter for the Theme Group containing the Policies and Actions. The Theme Groups are Housing, Transport, Environment, Community Facilities and Employment. Thank you to everyone who gave up their Saturday morning to give us your ideas and thoughts about the future of Sileby. We had a fantastic 140 people attend, with plenty of great insight about the needs of Sileby. If you missed it and would like to see the Presentation Boards Displayed at the event click here. On Tuesday, 21 February a Neighbourhood Plan Community Event was held at the Community Centre. This event was held to help everyone understand what a Neighbourhood Plan is and the benefits, to the village, of producing one. The event was fairly well received and around 40 people attended from different parts of the community. We are delighted that a number of residents have volunteered to form an Advisory Committee, along with some of our Parish Councillors. To help bring the Plan together the Advisory Committee will work with our consultant, Gary Kirk, Managing Director, of YourLocale. We appreciate it is a large undertaking to produce a Neighbourhood Plan but it is one which will help shape the development of our village in the years to come. This is a combined process, it cannot solely be a Parish Council initiative, and we would very much welcome input from all residents. See Presentation here. Feedback and analysis from the Questionnaire created by the Neighbourhood Plan Committee. Event Programme for the Evening, inviting the local public to participate in Theme Group work. All the Display Boards used at the Open Consultation Event. Presentation outlining the benefits and process of a Neighbourhood Plan.